HK, HT & HG Holden Bonnet Hinges are machined from 6061 -T6 aluminium and are Australian Made. 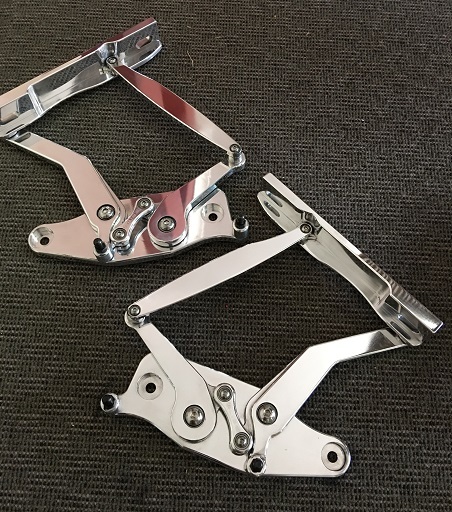 These come polished and come with mounting bolts. Free general postage within Australia only. Please allow two weeks for us to assemble as all hinges are made to order. Please allow an extra week for anodising and two extra for polishing as we have to out source these services.